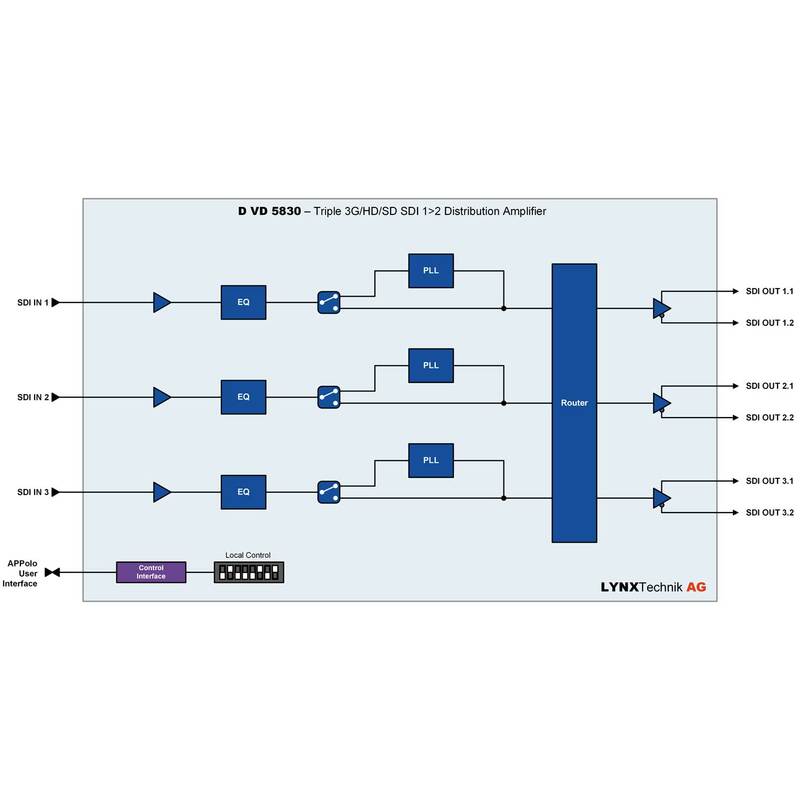 The DVD 5830 is a flexible 3 channel SDI distribution amplifier. There are three sets of 2 outputs which can be freely mapped to the three inputs to obtain the desired functionality. Each channel can be set to reclocking or non-reclocking mode. This module is ideally suited for demanding digital multi-format broadcast and professional applications. 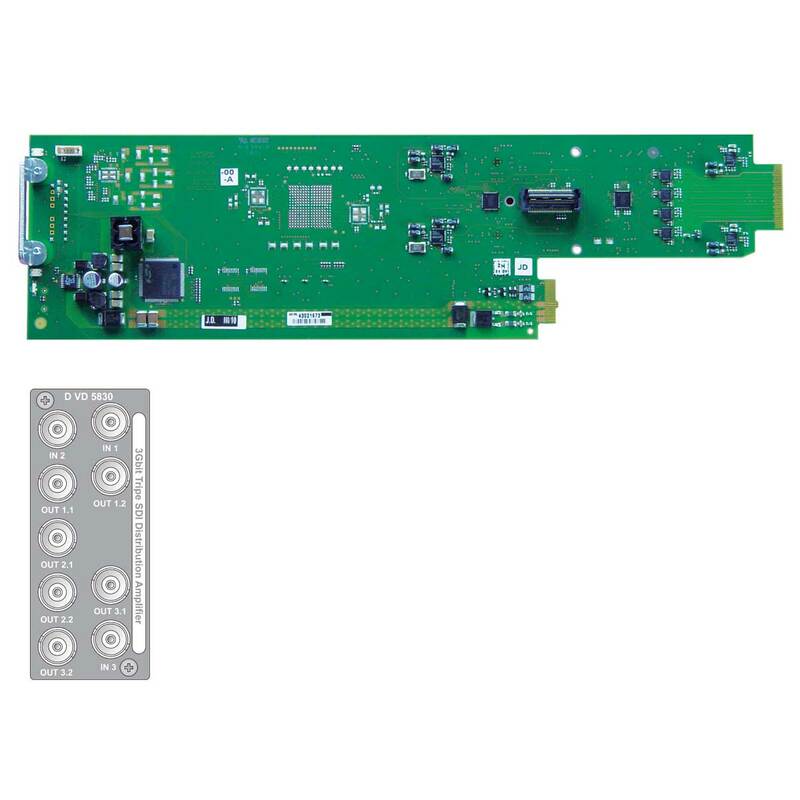 The module auto-detects the input video standard with support for all SDI video formats up to 3Gbit/s. In non re-clocked mode the module will transparently pass any data between 143 Mbit/s and 3Gbits/s. All sdi outputs are non inverting, making it ideal for ASI signal distribution. 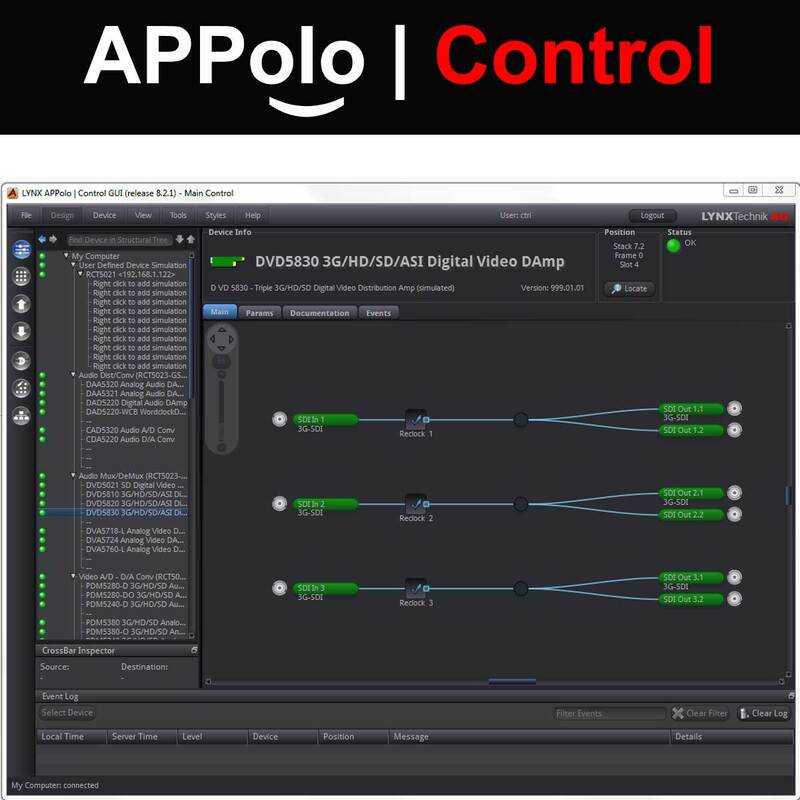 Remote control, status monitoring and error reporting is possible when using the APPolo control system.